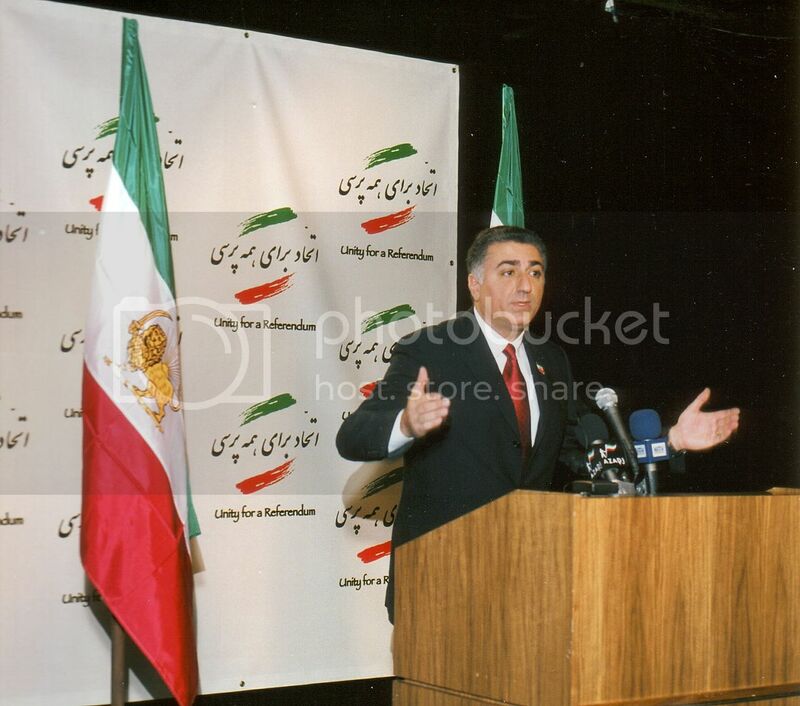 Supporting the people is the best route to blocking Iran's Bomb, says Reza Pahlavi. In the case of Iran, US foreign policy and international pressure are reaching their limit. External sanctions that are imposed solely to shape Iran's nuclear policy are unlikely to ever decrease the number of centrifuges that enrich uranium. Furthermore, if the issue of enrichment continues to trump the moral fight for the most basic human liberties – namely the right to free and fair elections and the freedom of speech – then the P5+1 will be seen to have abandoned the Iranian people to their plight. Alternatively, if the West enforces new sanctions that are intrinsically tied to the national outcry for freedom, they have armed their greatest ally with the powerful weapon of international solidarity in the struggle against the Islamic regime. This uprising can change the entire fabric of stability in the Middle East. Death to the "Supreme Leader's" minions! "Death to the [Supreme] Leaders minions!" Anti-Regime Demonstrations on Islamic Repiublic's "Jerusalem Day"
"Death to the Islamic Republic!" "No to Palestine! No to Lebanon! I will give my life for Iran!" "Khameini (the Islamic Republic's Supreme Leader) is a murderer!" "No to Gaza (Palestine)! No to Lebanon! I will give my life for Iran!" "State Broadcasting is the shame of the nation!" "Dictator! Dictator! This is our last warning! We are ready to rise up!" "Don't be afraid! Don't be afraid! We are all together!" In the following photo from Tehran you can see Iranians holding state provided banners with "Death to Israel" on them however in clear rejection of the terrorist islamic regime the demonstrators have crossed out Israel and replaced it with "Russia", "China", and "Hugo Chavez" (major backers of the mullah's)! In the following video you can witness a gang of "basiji's" (religious zealot thugs working for the regime who roam the streets with knives, daggers, clubs, chains, and pistols!) attacking Iranian anti-regime demonstrators however as these gather strength they start fleeing! At least one of the "basiji's" motorbikes is set on fire and towards the end of the clip the Islamic Republic's security forces have arrived to the scene and have shot rounds of tear gas into the crowd, hence the abrupt end to the clip. In this clip a Hezbollah banner is brought down with the crowd chanting "burn it!" The Islamic Republic's butchery of Iran's ancient history is beyond belief and comprehension. The clerics' audacity and blatant hatred for Iran spews from every page written by approved scholars. Iranology suffers from the lack of sufficient primary sources — especially native — making the task of balanced fact-finding more difficult. But any degree of bias observed in foreign sources about ancient Persians is nothing compared to the negativity, falsehood, and insufficient information provided by the Islamic Republic to Iranian children. A quick survey of 2005-06 history textbooks for middle school (grades 6-8) shows that over 1300 years of Iranian history as one of the ancient superpowers prior to the Moslem invasion is covered in approximately 37 pages while more than 2.5 volumes of materials are dedicated to Islam, its founder, and Iran's post-Islamic history (mid-7th century to present). With more than half of the 37 pages devoted to pictures and maps, it is fair to say that 1300 years of history is crammed into 17 pages of actual written content. It goes without saying that putting this part of history in 6th grade textbook provides a convenient forum for simplifying materials. 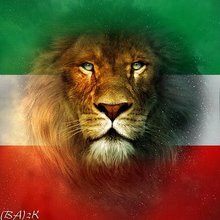 The overall tone is negativity towards Iranian monarchs, who define the nation's culture and history, and all leaders of the Iranian communities, who helped build and protect the country. The ancient Persians are described as greedy, unjust, chaotic, and selfish. According to the textbook, Iranian leaders accomplished nothing of importance for the common good, and that the people of Iran hated their leaders and way of life. There is no mention of the ancient Iranian prophet, Zoroaster, who is credited with being the first monotheist. Most scholars agree that Zoroaster lived around 1700 BCE. That makes Zoroastrianism the dominant religion in Iran for at least 2700 years, and yet the middle school history textbook barely mentions it, let alone its teachings. There is nothing in the 37 pages about Persian society, daily life, commerce, warfare, technology, and international diplomacy. As a misogynistic regime, there is no hint as to the relatively liberal status of women in ancient Persia. The names of famous Iranian women who were queens, monarchs and warriors are completely disregarded. There is no discussion about the development of the Persian language or the invention of cuneiform. As a history textbook, it is baffling to find that myths are actually taught as history. Incorrect information and religious propaganda are boundless. In short, Iran's ancient history has been sterilized and faces extinction. The events leading up to the conquest of Assyria by Babylonian-Median alliance is not discussed. The textbook claims that because of the friendship of the Lydians and the Babylonians, the Medes were no longer threatened by external forces. The Median Empire is marginalized and its downfall is attributed to the kings' life of leisure, greedy nobility, abuse of the people, and high taxes collected from neighboring tribes. The Achaemenid kings important to world history such as Cyrus and Darius are not referred to as "the Great." Incorrect and inadequate information are given regarding the origin of the name "Achaemenid," the relationships between Cyrus and Darius or Cyrus and the Median ruling house, conflict between the Persians and the Medes, and the conquest of Lydia and other nations by Cyrus. The book also suggests that Cyrus' motivation for conquest was to become wealthy. Nothing is mentioned of Cyrus' famous bill of rights cylinder and his decree in freeing the Jewish captives from Babylonia while taking on the financial responsibility to rebuild their temple. No mention of ancient Jewish communities was noted. The book states that some experts believe Cyrus was great, as if Iranians do not. No reason is given as to why he would be considered great even by his own enemies. The events surrounding the death of Cyrus's younger son Bardiya and his relationship with his older brother and king, Cambyses, are incorrect. The role of the usurper Gaumata responsible for Bardiya's death is misrepresented at the expense of Iranian leaders, who saved the fragile empire from destruction. The book claims that the Median and Persian ruling families were unjust and cruel to the people. Rebellions without details are generally emphasized to show that the Persian rulers were hated. The brilliant administrative skills and innovations of Darius and the ability of the Iranian leaders in managing an unprecedented empire comprising of 23 nations are not mentioned. The book states that the Greeks were the most important neighbors to the Persians when in fact the Achaemenid political strategy considered Mesopotamia, Egypt, Central Asia, and India as the most important regions. None of the famous Persian-Greek wars or their aftermath is mentioned. The fall of the Achaemenids is attributed to the fact that nobody had any say in the matters of the country but the monarch, and that is why they eventually became corrupt. Apparently, the greed of the nobility caused further suffering for the people. Alexander's invasion of Iran is mentioned in one sentence, and the bravery of the Iranian defenders during that invasion is not discussed. Only two pages are dedicated to this era. Nothing substantive is mentioned. Alexander's desire and subsequent actions to mix the Persians and the Greeks are not discussed nor the effect, if any, of Hellenization on the Achaemenid Empire. 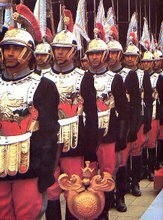 The textbook does not cover how Alexander used Iranian soldiers, commanders, and governors for his eastern conquests and management of the empire. The textbook incorrectly claims that the Sasanian society was divided into two classes: the nobility and the common folk. It further claims that nobility had many privileges including education while commoners were not allowed to attend school. Nothing is mentioned of the large middle class, the dehghans, created by the Sasanian monarchs to balance the society. An alleged letter from the prophet of Islam to Sasanian king asking him to convert as well as the king's audacity to reject such an invitation are mentioned as well-known history. Not surprisingly, the book claims that the righteous Moslem invaders were able to defeat the corrupt and cruel Sasanians, and bring freedom and justice to the people, who willingly accepted Islam. Volumes of books in many languages have been written on Iran's 1300 years of pre-Islamic history. One of the most respected, comprehensive set is The Cambridge History of Iran which has devoted 2600 pages without pictures to this era. Yet the Islamic Republic only found enough written material to cover 17 full pages directed to 6th grade students most of which contain deliberate misinformation and anti-Iranian sentiment. The mullahs are using Iran and its resources to further a warped religious agenda at the detriment of the Iranian people and the international community. In this process, they are systematically destroying a nation's understanding of its past given such a past is more advanced, humane, and liberal than the Islamic Republic's Constitution of the 21st century. Stay tuned for more on the ongoing Iranian genocide at the hands of the Islamofascist clerics. Sheda Vasseghi has a Masters in Ancient History with emphasis on ancient Persia. She handles public relations for persepolis3d.com and is a member of the Azadegan Foundation. Ms. Vasseghi is a regular contributor to political magazines such as WorldTribune.com. Sokhane Reza Shah II ba namayandegane allah taazi - rohanioune eslaam.